Margaret Ritchie, South Down MP, said: “I have pursued the Minister for Agriculture on the need to ensure that the local potato industry is given every assistance in order to ensure that we have a sustainable and profitable industry. Over recent years the potato industry has suffered as a result of the persistent bad weather and to date no direct assistance has been forthcoming from DARD to ensure the future of the industry. 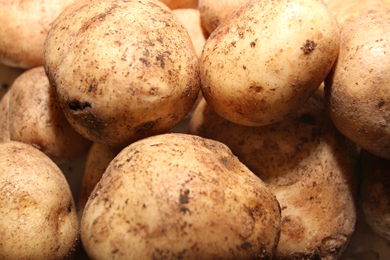 South Down MP Margaret Ritchie has called for action to support the potato industry. “Some years ago the NI Executive provided one-off funding to assist potato producers who were then faced with the challenges of very inclement weather conditions. “The potato industry is at the core of our food production chain and export market, yet there has been a lack of government assistance over recent years. We need to further develop our food chain and add value to our products. Food security and sustainability is of paramount importance. It is therefore vital that the Department of Agriculture move now to bring further benefit to the industry. “I will be meeting with DARD officials in the coming weeks to discuss possible funding opportunities for the local potato industry, and how the Department can ensure that damage done to the industry due to bad weather in recent years is off-set and schemes brought forward to ensure that the industry has a positive and profitable future. The assistance offered by the NI Executive in autumn 2008 needs to be repeated this year,” added Ms Ritchie.